Easter is always full of sweet treats. But what if this Easter was not just sweet, but decadent? Perhaps even savory and scrumptious? Dreamhouse is out to redefine scrumptious, with decadent and savory adventures in taste. Available exclusively at Rite Aid, shop for Dreamhouse Candy products to fill your Easter baskets, fulfill your gift giving needs and and to create your desserts. One bite of Dreamhouse chocolate, candy, popcorn, you name it - and you’ll find yourself in a flavorful world of wow. 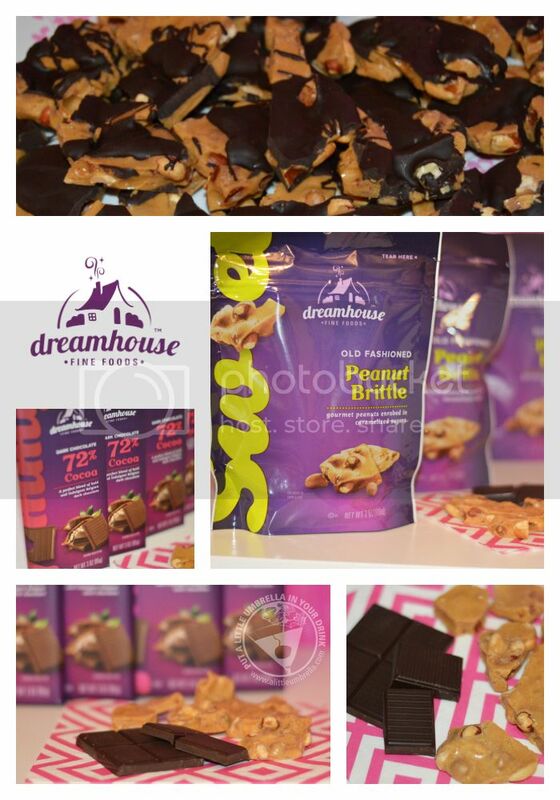 For people seeking an indulgent yet affordable treat, Dreamhouse provides unique and delicious products at a surprisingly low price. You can even use Dreamhouse goodies to create unique, on-trend recipes made with high-quality ingredients deliver exceptional taste and flavor. That is exactly what I did. 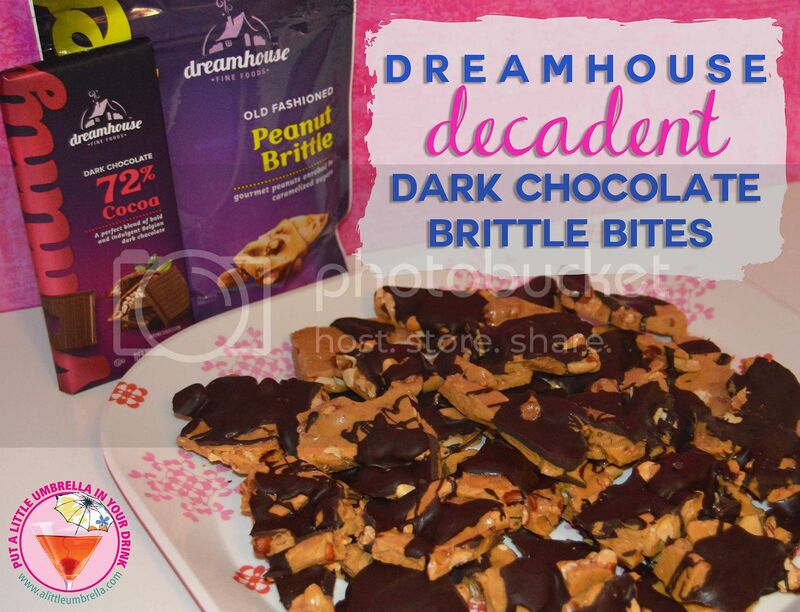 I created Dreamhouse Decadent Dark Chocolate Brittle Bites using Dreamhouse Peanut Brittle and Dreamhouse Dark Chocolate Bars. It was so easy! You will need four bags of Dreamhouse Old Fashioned Peanut Brittle, four Dreamhouse 72% Cocoa Dark Chocolate Bars, a cookie sheet, wax paper, and a microwavable container. Place large to bite sized pieces of peanut brittle on the cookie sheet. make sure the pieces are as close together as possible. Break the chocolate bars into pieces and place into a microwavable container. Heat chocolate for one minute, then stir. After one minute, heat in intervals of 15 seconds, stirring between each interval. Repeat until the chocolate is completely melted. 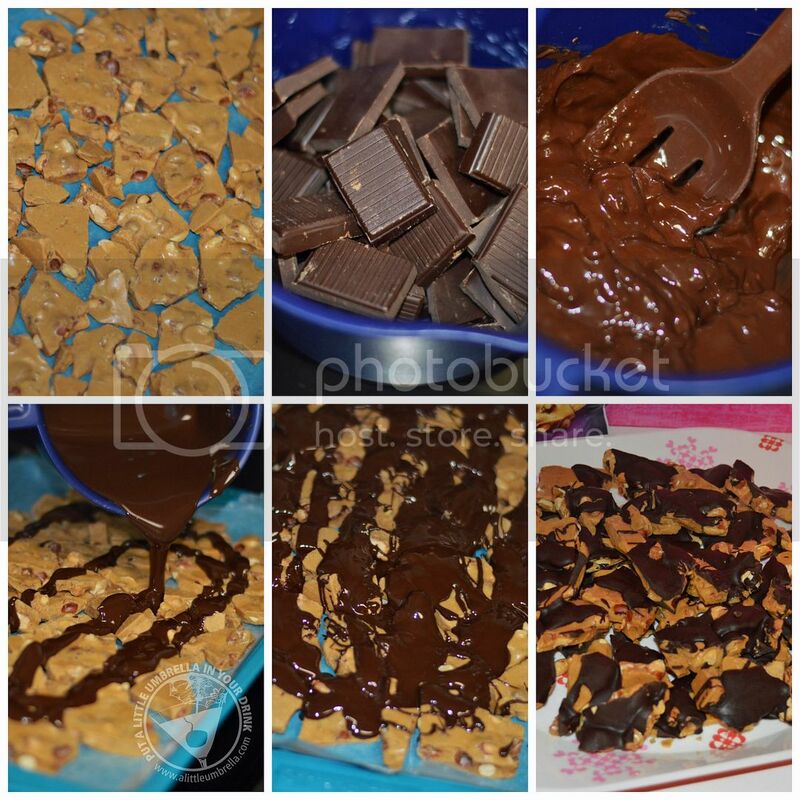 Drizzle the chocolate over the peanut brittle on cookie sheet. Place in refrigerator for two hours to cool. 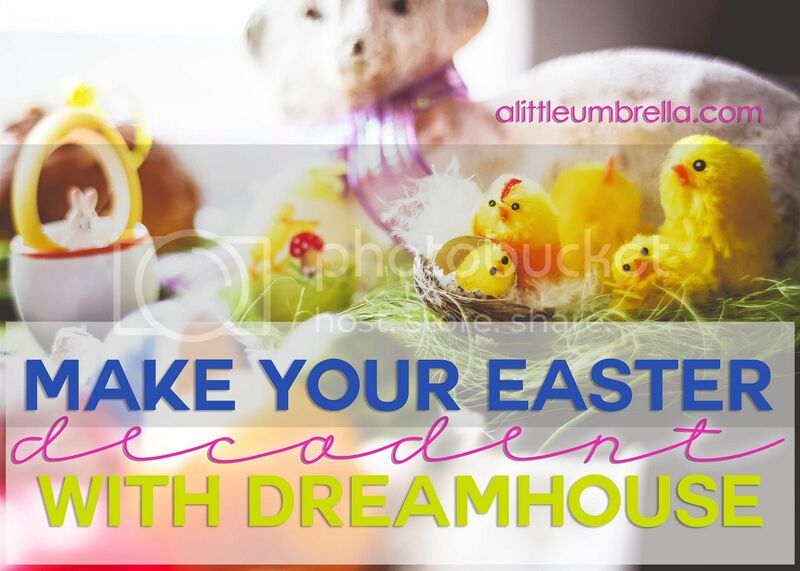 These Dreamhouse Decadent Dark Chocolate Brittle Bites are the perfect indulgence for Easter. Give some as an Easter Gift or take some to a family celebration! This simple recipe was made completely from Dreamhouse candy, which is so affordable, that you can have a little indulgence every day. Dreamhouse Dark Chocolate Bars with 72% Cocoa are the perfect blend of bold and indulgent Belgian dark chocolate. This completely yummy dark chocolate bar delivers that sweet and indulgent flavor craved by dark chocolate lovers the world over! Dreamhouse Peanut Brittle is made from fresh roasted peanuts, caramelized sugar, and butter. This time-tested, Southern confectionery is a classic for you to savor alone or in your favorite recipe. Together, they make the perfect combination for an exquisite Easter treat! Look for them at Rite Aid! Connect :: Dreamhouse products are available exclusively at Rite Aid! 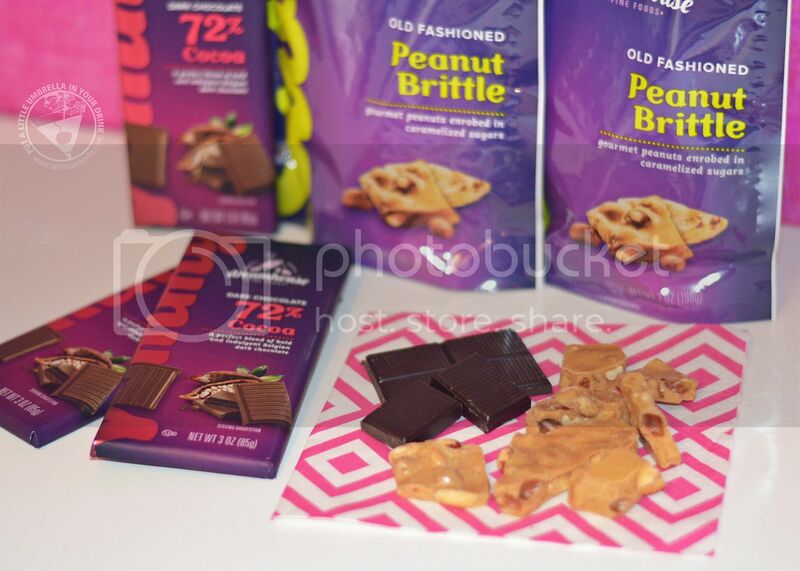 Look for the 72% Cocoa dark chocolate bars for $2.79 each and the old fashioned peanut brittle for $4.49 each. Connect with Rite Aid on Facebook and Twitter for more great Easter ideas + more.